I ran 20 miles on Hammer Nutrition's Perpetuem Solids & Heed. Experimenting with fuel, the Hammer Nutrition principle, “Less is more” suits me perfectly. The less volume I need to put into my stomach during a run, the more likely I am to get through it without digestive issues. 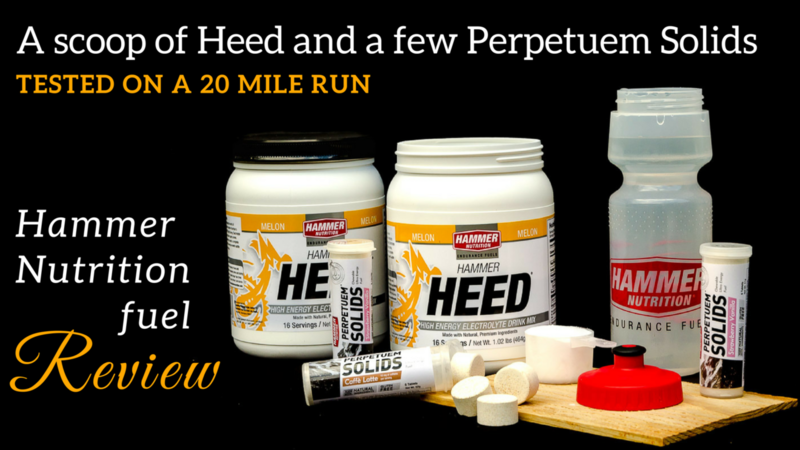 Today I tested a combination of Heed and Perpetuem Solids on a 20 mile run. 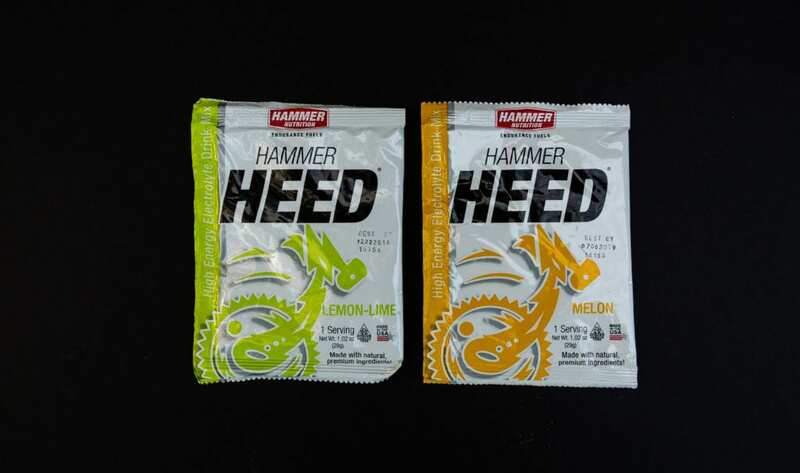 I've been using Hammer Nutrition products for about a year now and I know that Heed sits well with me. 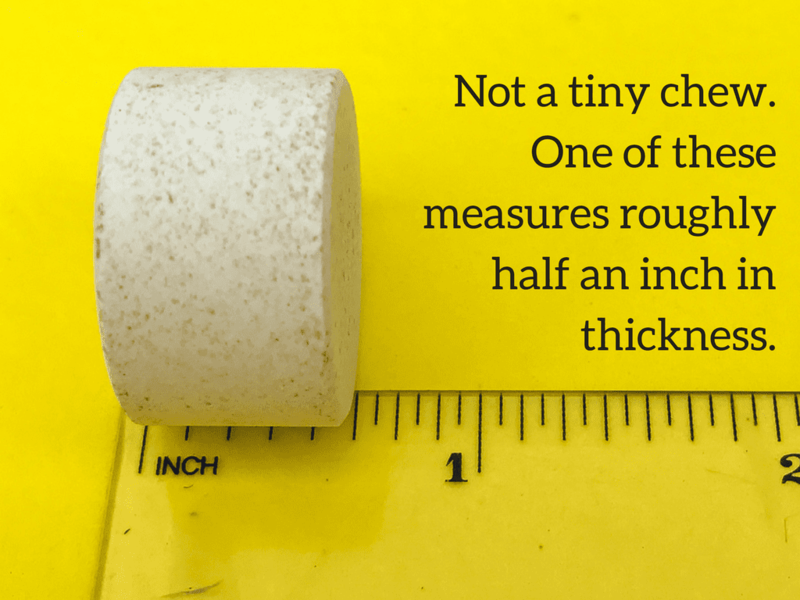 It comes in powder form, with a scoop included for easy measuring. The light, colorless powder is super fine and dissolves quickly and easily into water. The nutritional values and ingredients, save for the natural fruit extracts from which each derives its flavor, are the same. 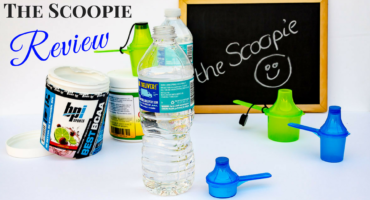 Each scoop mixes up to make a sports drink containing 100 calories. There are several options for quantities when ordering your Heed. 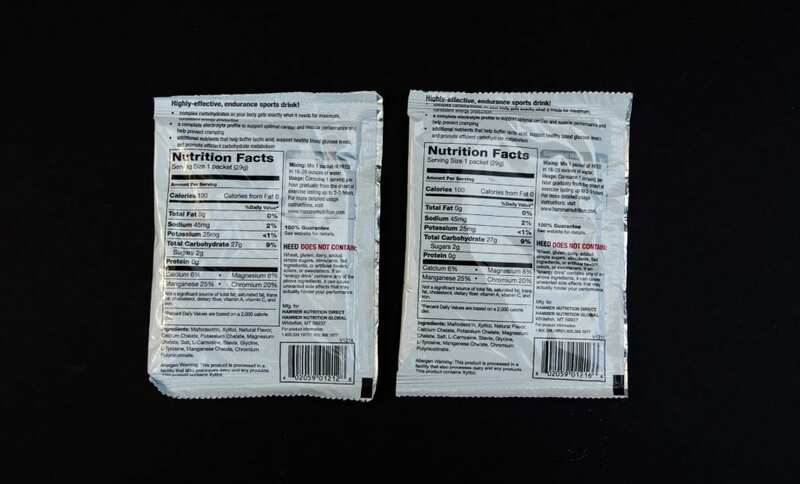 As you can see in the pictures above, you can purchase individual serving sized packets, which are convenient for travel or carrying with you to mix up on the go. It's also a nice way to try the different flavors. I like the melon best, but I did try all of them and didn't dislike any. If you settle on a particular flavor or two, it's more economical to buy it in containers. You can choose from 16, 32 or 80 serving sized containers. Heed mixes into water very easily. A quick stir or one or two shakes of the bottle and you're all set. If you prefer a more concentrated solution reducing the amount of water or adding more Heed will achieve the desired results. A single scoop is adequate for me on a long run. Individual needs vary widely based on a number of factors so you have to experiment with a bit of trial and error. I do reduce the amount of water added to keep the weight of the water bottle down. I alternate sips of Heed and water; fortunately there are drinking fountains available on the routes where I do the middle miles of my long runs. Races solve that problem with the water stations on the course. What I like about Heed is that it's nothing like the sickly sweet, synthetically flavored sports drinks available on grocery store shelves and race courses. Taste and tolerance after a an hour or two of running do strange things. I get an extreme aversion to anything sweet. The taste and flavor is very subtle and on a clean palate, you can detect a hint of the mineral salts in the mixture. It is refreshing and doesn't coat the throat or create acid at the top of your throat in the way sugary mixes do and I have never had cramps, heartburn or any nasty side effects using this product. Hammer Heed works well for me. It tastes pleasant, doesn't contain artificial or unnecessary ingredients. Heed delivers as promised and remains a trusted go-to for my long runs. Perpetuem as Hammer Nutrition fans have come to know it, is available in a powder form that is mixed with water as a liquid fuel for endurance events. 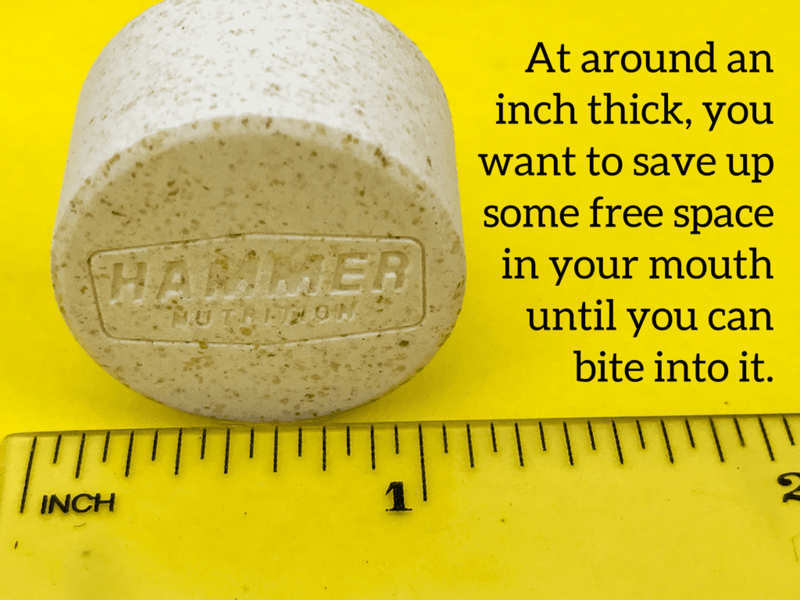 It is one of Hammer's better known and very popular products. Those who love it, swear by it. I have tried a couple of flavors and had no issue with the product, but I couldn't palate the unusual taste and subtle, but present texture of the mixed solution. I really wanted to like it because it gets such good reviews, but my taste buds are incredibly sensitive an hour or two into a run and I couldn't get past that. If you prefer liquid fuel though, I would urge you to try it. I'm just a bit weird with tastes and flavors when I'm on the move. Blocks and chews can be hit or miss. I don't want my mouth to be bothered with hard work while I run so ideally, if something can break in half and rest against the insides of my cheeks without me having to chomp on them too much, it's a good thing. Your options for the solids are the flip top tubes like the one pictured, containing six chews, or a container of 90. If you are settled on a flavor, the bigger one is more cost effective. Perpetuem Solids gave me an alternative to this wonder endurance fuel that didn't suit my tastes in liquid form. I took the plunge and ordered a few packs. There are a few things I noticed about this immediately. I was not expecting them to be the size they are. The first thing I wondered was how the heck to hold the whole thing in my mouth while trying to breathe. I tried one at home first so I could trouble shoot with both feet on the ground and plenty of blood flow to my brain. It actually wasn't that bad. I bit into it and it broke easily. The Perpetuem Solids have a chalky texture. It's not unpleasant or dry and while I expected it to be powdery in my mouth, it actually turns into a soft chew as soon as it comes into contact with saliva. I had a different solution for taking them on the run, though. I used a knife with a wet blade and cut three of them in half, then bagged them up in a ziploc snack bag. Three chews make up a portion size, giving 100 calories, which is sufficient for me for 20 miles, paired with another 100 calories from the Heed. By the time most of us start playing with fuel for endurance, it's a functional thing. We aren't looking for dessert. Taste buds seem to lose themselves and the mind plays tricks with the signals received from the mouth after a few hours on the go. That flavor that was delicious on Mile 6 makes you want to gag at 18 miles. It's a mystery, but a reality. There is not much taste or flavor to these. That suits me just perfectly. I opted for Cafe Latte and Strawberry-Vanilla. An Orange-Vanilla flavor is available too, but I'm not a big fan of orange. Given the subtlety of the taste, I would cope with them just fine though. Best of all, they are not sickly sweet. There is just enough taste that you don't feel like you're chewing on a non-edible item, but not so much that it overpowers the taste buds. I treated the Perpetuem Solids as I would any chew or block. One half on either side of my mouth, left to rest and dissolve with an occasional half-hearted chew. It worked. The slow release of the energy from the Solids works well for me. There is no shock to the stomach with the sudden intake of carbohydrates and they are gentle on the gut. I came through the other side of 20 miles without the slightest hint of any digestive discomfort or distress. These get a thumbs up from me. My User Error. Do Not Copy. My plan to break the Solids up worked very well. There was just one small mistake I made. If you put them into a ziploc bag instead of using the container, close the bag. I have a habit of dropping things when I reach for them in my belt with sweaty fingers so I threw the bag down my sports bra. I failed to seal it so when I reached for the first piece, it was wet and salty with sweat. By the time I was onto the third piece a pool had collected in the bottom of the bag. Fortunately I'd left the container in the mailbox, unsure of how many I'd need, just in case of emergency. A quick deviation on the route let me run by the house and trade the bag that now had contents resembling liquid fuel for some dry pieces. Perhaps the original container is the better way to go. Or just close the bag! At least nobody reading this needs to make the same mistake and the guys are pretty safe with this one. The one good thing about the need to switch them out is that I used the fresh solid as a whole unit, just so I could review it. In spite of its size, it broke under moderate pressure from my teeth and I separated the two halves in my mouth. I may leave some whole and put some pieces in the mix for future runs. 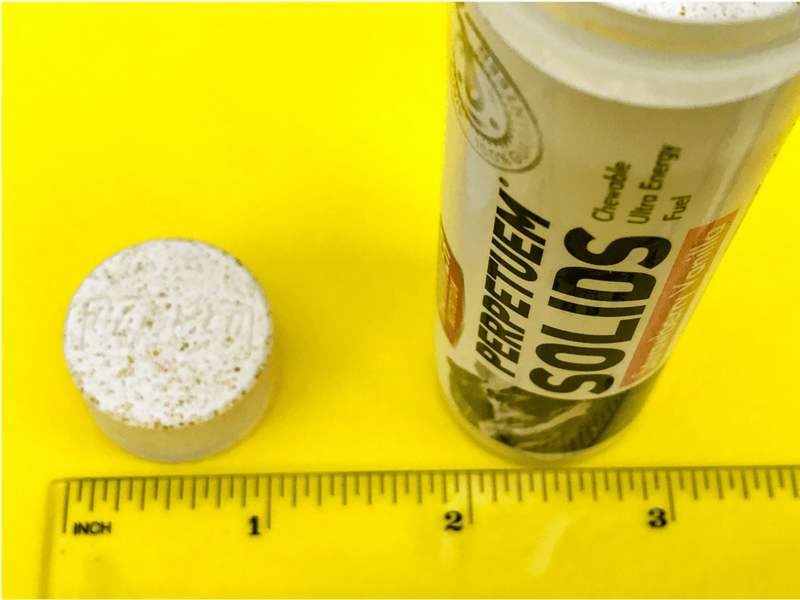 I'm very pleased with my experience with the Perpetuem Solids. The convenient containers, subtle flavors and non-irritating ingredients worked very well for me. 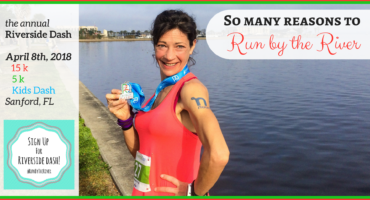 Lack of sweetness and the absence of any form of refined sugar gave me a hassle free run. I'll definitely order a larger quantity of these to use again. 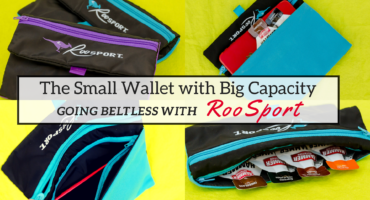 I'd recommend trying these if you don't want to carry water bottles around or you just want some emergency top up carbohydrates on you for race days and long runs. If you have never ordered from Hammer Nutrition before and want to try a product, I have a referral code which you can use for a one time 15% discount. This has to be added or pasted into the “Referral” field on the check out page. First time customers can also get a sample pack of a variety of products free with the first order. Enter the code NEW in the coupon code field. There is quite a lot in the sample pack and it's a great way to try some new things without investing in full size quantities. Although Hammer states that the referral code cannot be used in conjunction with other offers, they have allowed it so far. My guess is that the referral is not the same as an offer or an online discount. The two codes continue to stack together successfully. If you try it and note that this has changed at any time, please let me know so that I can keep this information accurate and up to date at all times. Great review! I like mostly liquid fuel. Tailwind or Infinite are my go to drinks. I get the Carbs and sodium I need along with electrolytes. 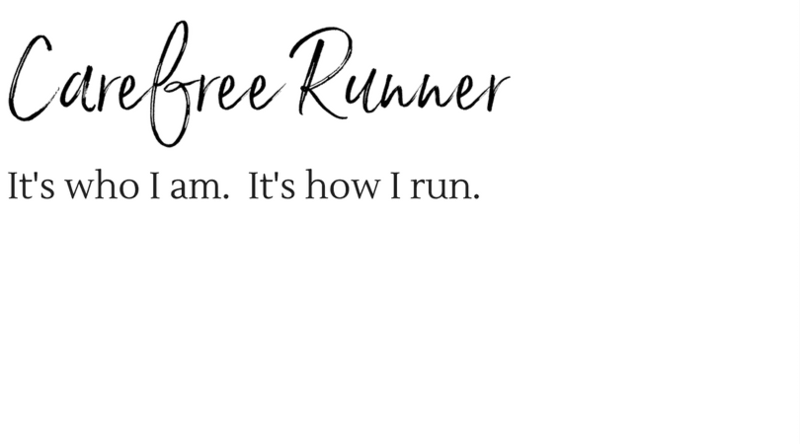 I also been using Run Gum, I need to go a review on that. I like it. Oh please do review the Run Gum. I’ve had it almost at the checkout so many times, but I don’t personally know anyone who’s tried it and I never quite get to the purchase page. I’m going to review Tailwind which is the next one to test, but I like the Heed and Perpetuem mix. The only downfall I discovered with the long run on Friday was liquid fuel means carrying a water bottle. Somehow it didn’t bug me before but this time I really detested having to lug stuff with me. Maybe it was just how I felt on the day. Thanks Richard! I like Run Gum. I didn’t dare mess with caffeine on the marathon though, given the circumstances. I also think I’d do better with liquid fuel but I can’t stand carrying a water bottle with me. It didn’t bug me last time I trained with it, but this round it just annoyed me. Maybe it was just the heat during this training season. I’ll try it again when I start training again for the next one.